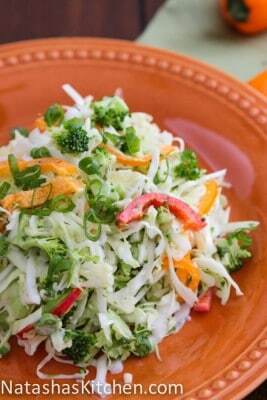 This cabbage and bell pepper salad was an instant favorite; refilled my bowl 3 times! 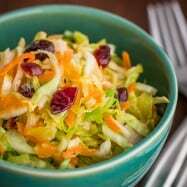 I picked up this recipe on our recent trip to California while visiting my hubby’s family. My mother-in-law is a fantastic cook. She just “made this up” with my sister-in-law. Someday I too will just “make things up.” I guess I feel like I don’t have enough time to be ultra creative with recipes. 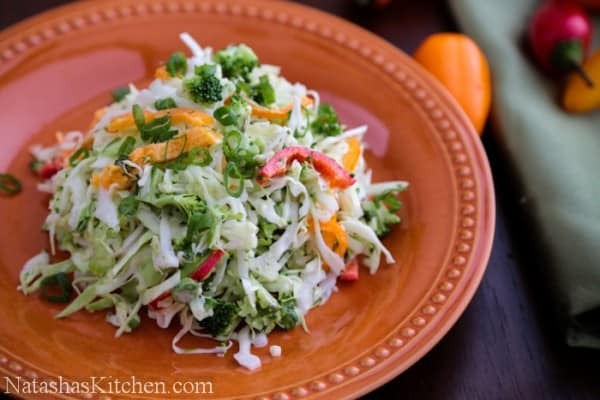 Back to this salad; it’s very easy to make, especially if you have a Mandoline for shredding the cabbage. 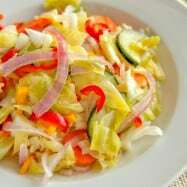 You can prep the salad and dressing several hours ahead of time and combine everything just before serving. 1. 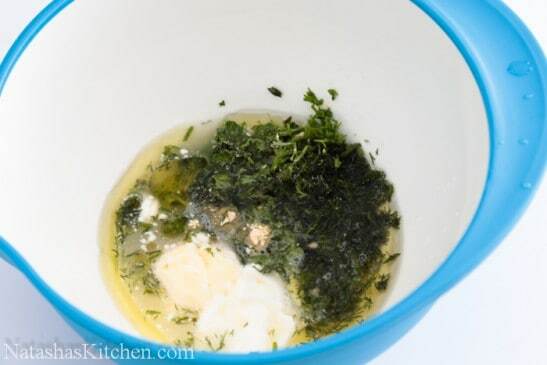 For the dressing: In a small bowl mix together juice of 1 small lemon, 3 Тbsp of sunflower oil, 1 Тbsp mayo, 1 Тbsp sour cream, 1 tsp sugar, 1/2 tsp garlic powder and 1/2 tsp salt (or just 1 tsp garlic salt), 2 heaping Тbsp chopped dill and 2 heaping Тbsp chopped parsley. 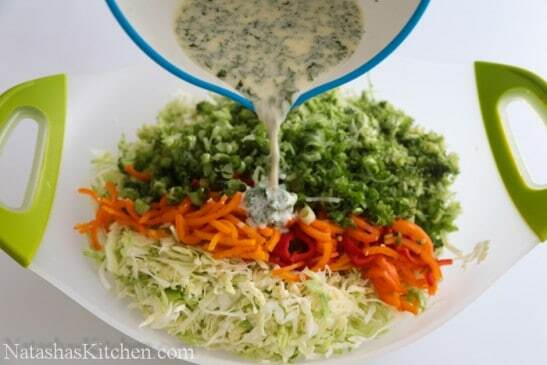 Refrigerate dressing and start on the salad. 2. 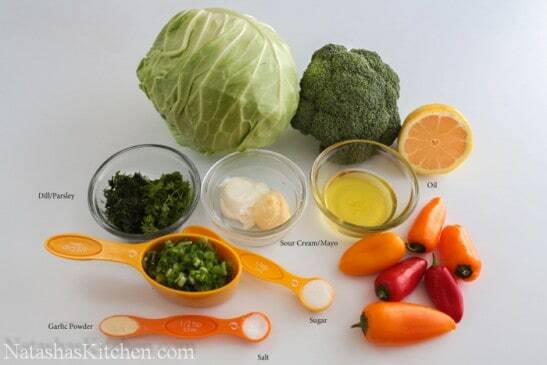 Wash your veggies. 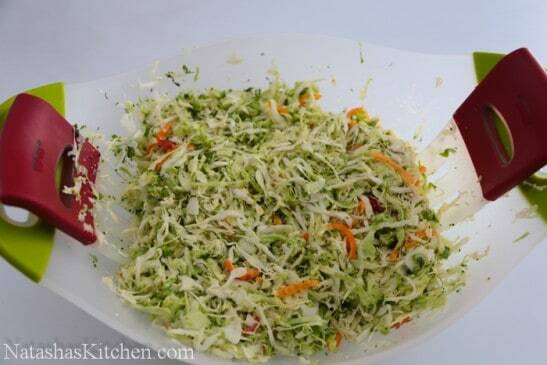 Using a Mandoline or a knife, thinly slice 1 small cabbage and place it in a large mixing bowl. 3. Chop 1 small head of broccoli into small peaces. I used the Vidalia Chop Wizard with the larger blades. 4. Cut bell pepper lengthwise into 4 slices or mini peppers in half and than slice them across into small strips. 5. Dice half a bunch of green onions, about 1/2 cup. 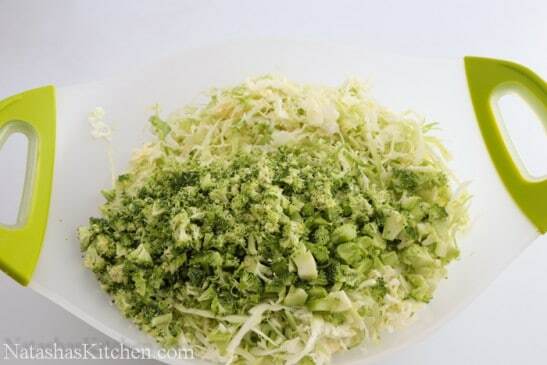 Add everything to the mixing bowl with cabbage. 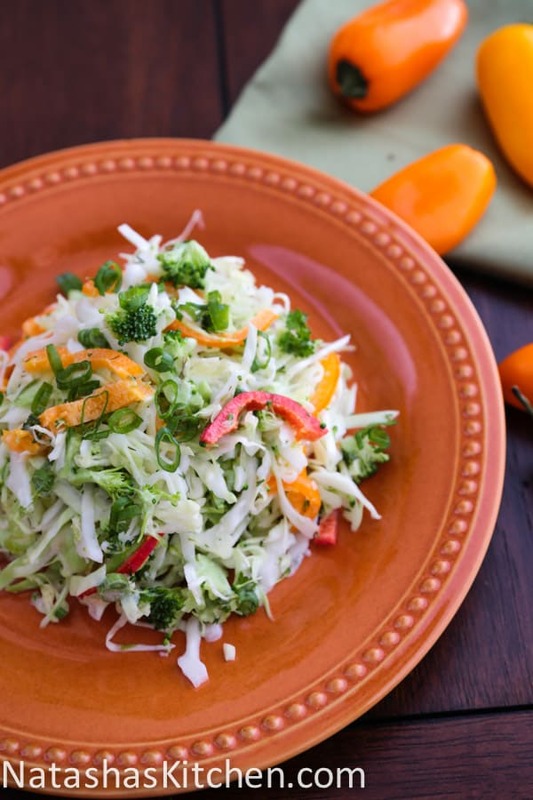 This cabbage and bell pepper salad was an instant favorite; refilled my bowl 3 times! 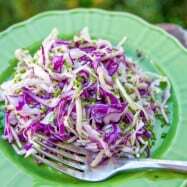 It's very easy to make, especially if you have a mandoline for shredding the cabbage. 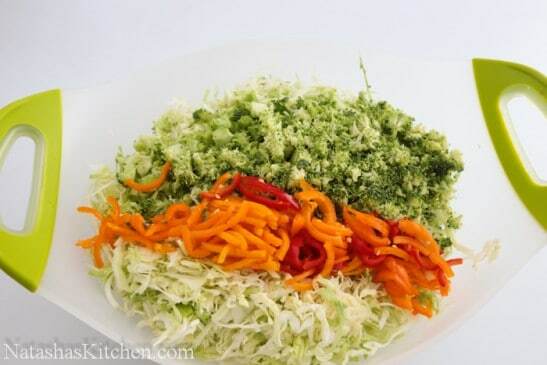 You can prep the salad and dressing several hours ahead of time and combine everything just before serving. 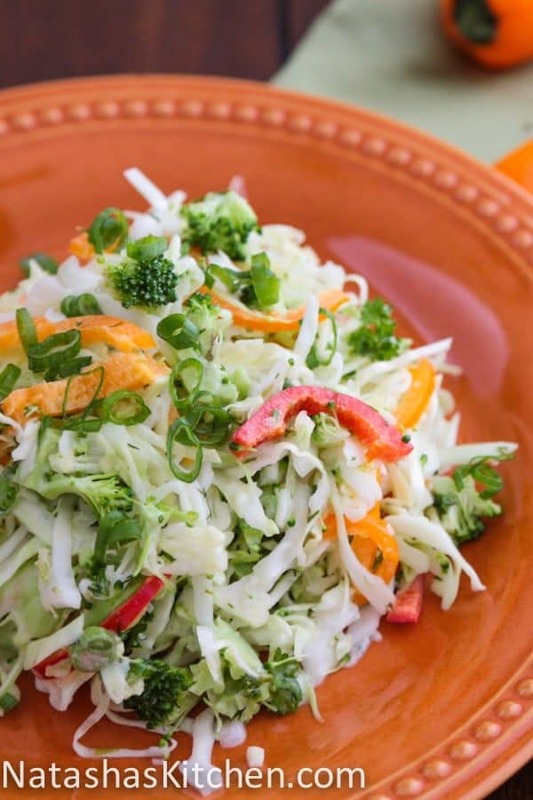 For the dressing: In a small bowl mix together juice of 1 small lemon, 3 Тbsp of sunflower oil, 1 Тbsp mayo, 1 Тbsp sour cream, 1 tsp sugar, 1/2 tsp garlic powder and 1/2 tsp salt (or just 1 tsp garlic salt), 2 heaping Тbsp chopped dill and 2 heaping Тbsp chopped parsley. 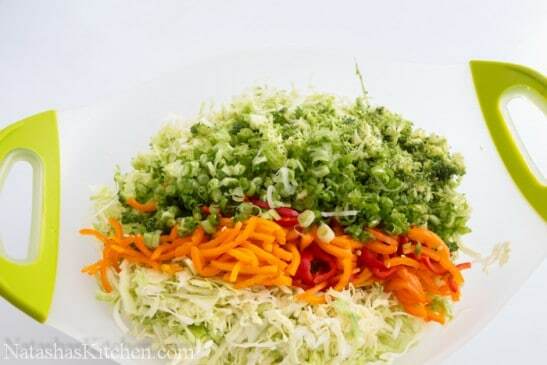 Refrigerate dressing and start on the salad. Wash your veggies. 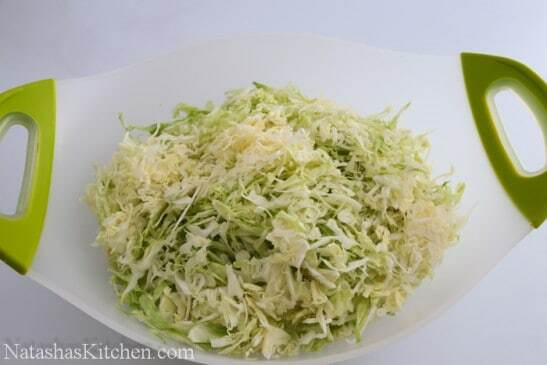 Using a mandoline or a knife, thinly slice 1 small cabbage and place in a large mixing bowl. Chop 1 small head of broccoli into small peaces. Cut bell pepper into small strips. Dice half a bunch of green onions, about 1/2 cup. Add everything to the mixing bowl. 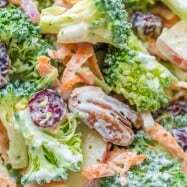 When ready to serve, pour the prepared dressing over the salad and mix well until all of the veggies are evenly coated with the dressing :). First of all, I would like to Congratulate you and your husband as you’re expecting a new addition into your beautiful family! 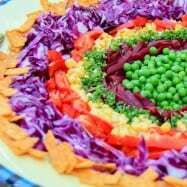 Hi, I was looking for salad ideas when i chanced upon your blog. 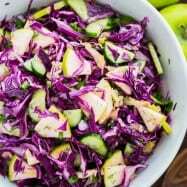 Can I ask if all the veggies are eaten raw in this recipe? no steaming/scalding required?